Rancher Bill Fales stands next to his headgate on the Crystal River. 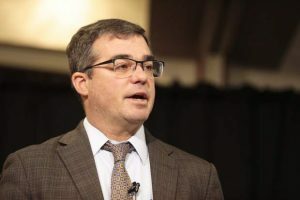 Under a water leasing arrangement with the Colorado Water Trust, Fales offered to turn off the headgate for one of his irrigation ditches to help boost water levels in exchange for payment. There is a new way to put water back in Colorado’s parched rivers. After more than a year of back and forth with Pitkin County officials, the nonprofit Colorado Water Trust announced Tuesday a pilot agreement with a Carbondale rancher to increase streamflows in the Crystal River during dry years. 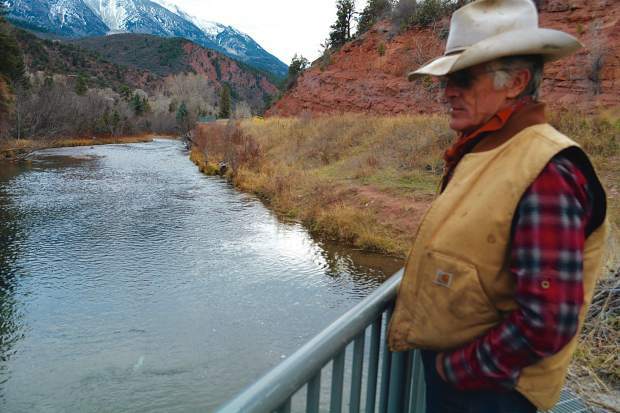 The three-year agreement will compensate Bill Fales and Marj Perry, who own the 600 acre Cold Mountain Ranch just west of Carbondale, for retiming their irrigation practices to leave water in the Crystal River when it needs a boost. For Zach Smith, a staff attorney for the environmental nonprofit Water Trust, the pilot agreement is an important test for whether this type of conservation program can work for ranchers and rivers. Under the terms of the agreement, the Water Trust will monitor flows in the river and if flows fall to 40 cubic feet per second (cfs), the ranch may voluntarily shift its diversion scheduling. The Water Trust will then measure the changes in the ranch’s irrigation practices and pay Fales and Perry $175 per cfs per day to encourage that shift. Once streamflows reach 55 cfs, the payments would cease. The pilot agreement can restore up to 6 cfs per day in the Crystal River for a maximum of 20 days in August and September (no other months are included), offering a maximum payout of $21,000 per year to the Cold Mountain Ranch. The new deal is the culmination of a multi-year effort to help boost streamflows in the Crystal River, which runs from the Elk Mountains above Marble to its confluence with the Roaring Fork River at Carbondale. During the drought of 2012, demand for water outpaced supply and the Crystal went dry, prompting the Water Trust to look for new sources of water for the river’s benefit. Although the Colorado Water Conservation Board (CWCB) has an environmental instream flow right on the Crystal, the water right dates from 1975, far lower in priority than the major agricultural water rights on the Crystal — and thus of little to no use when the river most needs water. The Water Trust began consulting with local ranchers and farmers whose senior water rights could be useful during times of drought, asking whether they would they be willing to lease some of their irrigation water for the Crystal’s benefit. And many were. However, most of them, including Fales, were wary of arrangements that involved too much bureaucracy. So the Water Trust devised a more flexible deal, requiring no filings in water court. 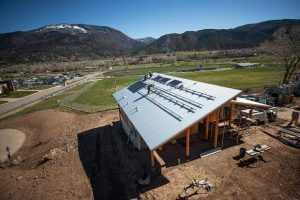 Instead, the rancher found himself embroiled in a frustrating disagreement with Pitkin County officials who insisted that Fales’ willingness to forgo some of his water when the river needed a boost would put his water rights at risk. For John Ely, the Pitkin County attorney, the biggest problem was that if Fales kept producing the same amount of alfalfa with less water, his water rights could one day be diminished in water court under the “use it or lose it” principle. This was especially concerning to Ely because the county had paid $7.5 million for the conservation easement on Cold Mountain Ranch. “If you’re preserving agricultural property, you’re not preserving much if you don’t have the water that goes with it,” Ely said. 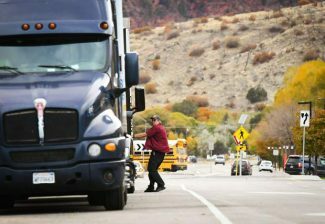 The new arrangement addresses the county’s concerns. Instead of reducing his annual water use, Fales will simply shift the timing of his diversions to align with the Crystal’s needs. The end result, says Smith, will bring the same environmental benefits for the river. What’s more, the pilot agreement marks the first step towards implementing the Crystal River Stream Management Plan, released in 2016, which helped quantify the ecological needs of the river. 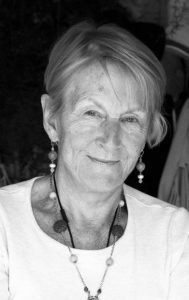 And it means Pitkin County can finally fulfill its long-stated goal of putting more water in local rivers through the Healthy Rivers and Streams program. For Smith, the process of working out this kind of arrangement also has broader lessons for other water conservation efforts involving conservation easements. Back in 2012, the Water Trust thought it had a leasing agreement that could be rolled out in different river basins throughout Colorado. Now, Smith says, he’s learned that what works in one community, might not work for another. “We need to be flexible,” he says. Aspen Journalism is covering rivers and water in collaboration with The Aspen Times, Glenwood Springs Post Independent, Vail Daily and Summit Daily News. More at http://www.aspenjournalism.org.